I don’t know about you guys, but I’m so happy that September is finally here and that it has brought the feeling of Fall in the air with it! I’m so ready to begin cooking with all of my favorite fall flavors. One of my absolute all-time favorite fall flavors is apple. 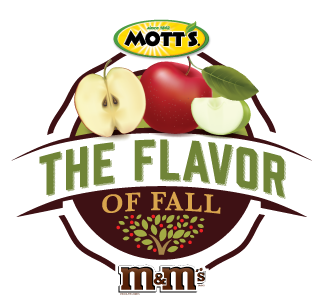 I love stocking up on my apple favorites like Mott’s® Applesauce and Juice, but this year there is a new apple flavor I can’t wait to try: M&M’s® Candy Apple. Be sure to print both right now as there are limited quantities of the coupons available! 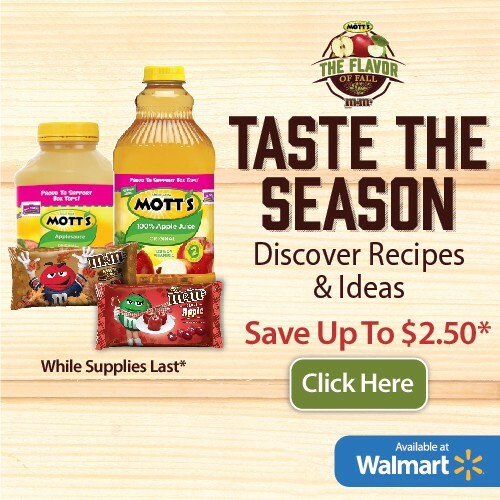 Then, head over to TheFlavorOfFall.com for other yummy apple-inspired recipes featuring these tasty products. What are some of your favorite fall recipes using apple?